I’ll admit to you… I’m a makeup lover. I enjoy using it, I enjoy the creativity behind it, and I find it oddly cathartic. Sitting at my vanity every morning, sipping coffee, and listening to podcasts has become the perfect respite for me in my crazy day. Plus it fulfills a little bit of my artistic itch. But over the last year and a half, I’ve been moving towards “cleaning up” my makeup routine. 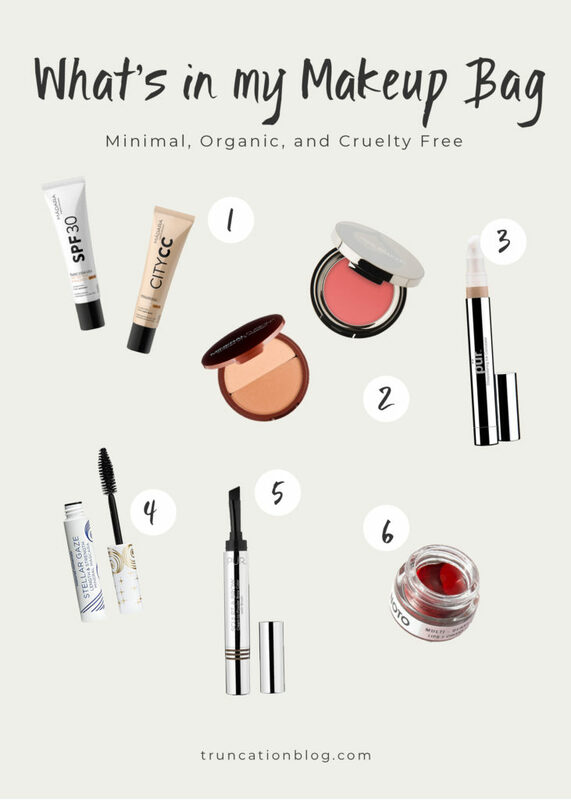 First by cutting out the amount of makeup I own, and second by choosing items that are made from high quality, healthy ingredients. It’s been a bit of a process because, to be honest, organic makeup doesn’t always perform as well as non organic makeup. BUT, after a thorough search I’m happy to say I’ve found some good ones! I’ve had a lot of you send me messages asking me to talk about which products I’ve been using, but I wanted to wait until I had some that I really loved and could recommend with confidence. 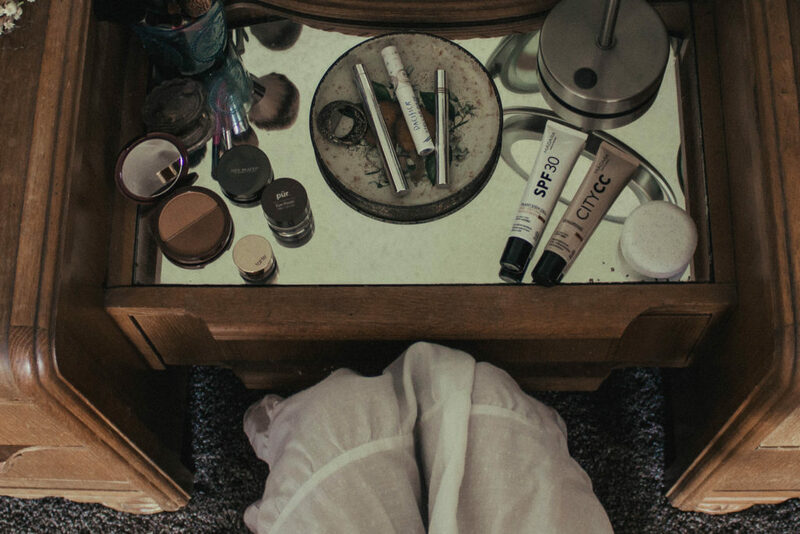 I’ve teamed up with MADARA Organic Skincare to share with you what’s in my current makeup bag (keep reading for a discount code!). MADARA is a European brand that specializes in high quality, organic ingredients. They believe that what is on the inside matters more than what’s on the outside, and so they insist on truly effective ingredients, honest claims, environmentally friendly packaging, care, passion, and respect. Their product range includes makeup, skincare, hair, and baby products. I tried their face and body sunscreen, their clarifying face soap, their cc cream, and their baby shampoo and hydrating lotion. I am thoroughly impressed with every single product I used. We had a case of hand, foot, and mouth disease go through our house, and the cloudberry and oat baby lotion was the only thing that soothed my poor girls’ rashes. Seriously! It’s so, so good. But the two products that REALLY stood out to me were the sunscreen and cc cream. I have super sensitive, oily skin and have had a really hard time finding organic products that didn’t break me out, and that also don’t slide right off my face. These both performed so beautifully on my skin… I’m such a fan now! The CC Cream is rather sheer, so if you prefer heavy coverage it may not be for you. Personally, I prefer light coverage and then a bit of concealer for anything extra. I hope you’ll give MADARA a try! They really do make such lovely products… especially if you have sensitive skin like I do. If you’d like to try them out, use code KARINRAMBO at checkout to get 10% off of your order. The code will last until then end of this year (2018)! Like I said before, I really enjoy makeup and so the items I have listed in this post are not all of the products that I own. For a night out, I enjoy getting glammed up. BUT for everyday, being a stay at home mom I like to keep things pretty simple. 1:: MADARA Sunscreen & CC Cream both c/o. 2:: Juice Beauty cream blush in the shade Seashell (this gives the most beautiful flush! I just pat it in with my fingers… so easy!) plus Mineral Fusion Bronzer Duo in the shade Luster (I finally found an organic bronzer that blends well and doesn’t oxidize on my skin! The shade is also really nice… not too orange or too ashy). 3:: PUR Concealer in the shade Light (this is also sheer, but it’s buildable. I also find that it sets well without needing to be set with powder). 4:: Pacifica Mascara in the shade Black (so, so good you guys! It took me forever to find an organic mascara that I love, but this one is perfection! You can build it up so it’s perfect for daytime and night). 6:: NOTO lip tint. I’m not sure what shade it is, but it’s the red one! (This is pretty much the only lip color I’ve used since I got it. It’s the perfect sheer red, and it has a minty scent so it freshens your breath!). So there you have it! Have you tried any of these products? What are your favorite organic products? ALSO, if it’s not up already I’ll be sharing a video today on IGTV of what makeup products I’m bringing with me to Florida. I’d love for you to give it a watch! And thanks to MADARA Organic Skincare for sponsoring this post!